Buying real estate in Jarabacoa—there will never be a time when you wonder what you will do besides garden and play golf, though the area is excellent for both. Dominicans call Jarabacoa (the J pronounced as an H) the city of eternal spring. It is the popular destination among the Dominican wealthy class during the summer because of its agreeable weather with annual temperatures ranging from 61 to 72 ° F (16 to 22 ° C). It is also where the Dominican Republic’s eco-tourism started. It is an excellent area to own real estate in Jarabacoa. A vacation, retirement or rental home which is smack dab in the middle of the country in the Cordillera Central mountain range, called by the locals, the Dominican Alps. The highest is Pico Duarte at 10, 127 feet (3,087 meters), the tallest mountain in the Caribbean and the tallest east of the Mississippi. An adventurous day or two-day trip is trekking the trails to the top. The Dominican Ministry of Environment has even built several lodges along the trail to stop and enjoy the views or to overnight. 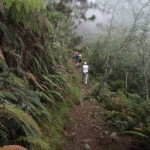 A variety of mountain sports in the Jarabacoa area include hang gliding, hiking, dirt biking, canyoning, rappelling, and horseback riding over hill and dale and across streams. Jarabacoa is a pre-Columbian Taino Indian name that means “land where the water flows,” a direct reference to the 20 rivers and streams that run through the area’s mountainous terrain. The largest are the Baiguate, Jimenoa and the Yaque del Norte replete with waterfalls. The rivers are excellent for white water rafting, canoeing, floating in tubes or panning for gold. Yup, there is gold in them thar hills. 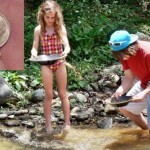 Panning for gold is an adventurous day trip to take visiting family and friends. Not only is it fun, it gets people outdoors into beautiful scenery. Kids love it because it gives them a souvenir no one has back at home—gold they caught themselves. Priceless. At the current price of $1800 per ounce, it’s darn near so. Or they can cash it in to buy an iPad. Three golf courses are nearby. Built among pine groves, the Jarabacoa Golf Club is the only course in the country in the mountains so your game will be distracted by spectacular views. The Bonao Golf Club was originally built for the executives of a large gold mining company. It was designed by an assistant to Robert Trent Jones, Sr. who designed the Playa Dorada golf course on the north coast. Las Aromas Santiago Golf Club (The Aromas) is about an hour’s drive to Santiago. It has beautiful views of the city, Cibao Valley, and the Yaque del Norte River. It was designed by Pete Dye during the same period when he built Teeth of the Dog on the south shore. Jarabacoa’s social life revolves around the Parque Central with its church, casino, and restaurants. For more evening attractions, Santiago, the nation’s second-largest city is not far. It has a variety of fine restaurants and the best nightlife in the country as well as major shopping chains such as PriceSmart. 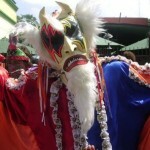 Nearby La Vega has the most popular carnival on the island. It lasts for many weekends to the end of February on the 27th, when the country celebrates its independence from Haiti in 1844. Ready-to-move-in this real estate in Jarabacoa? You get dynamic views of the Cordillera Central mountain range from three terraces and six bedrooms. It has a living room, dining area, and den. A basement for a wine cellar complements the villa’s luxury along with the fully-equipped, professionally appointed, modern kitchen with granite counter tops. In the garden are coffee, banana, blackberry and plantain plants. There is 24-hour security in the gated community within which it is located. 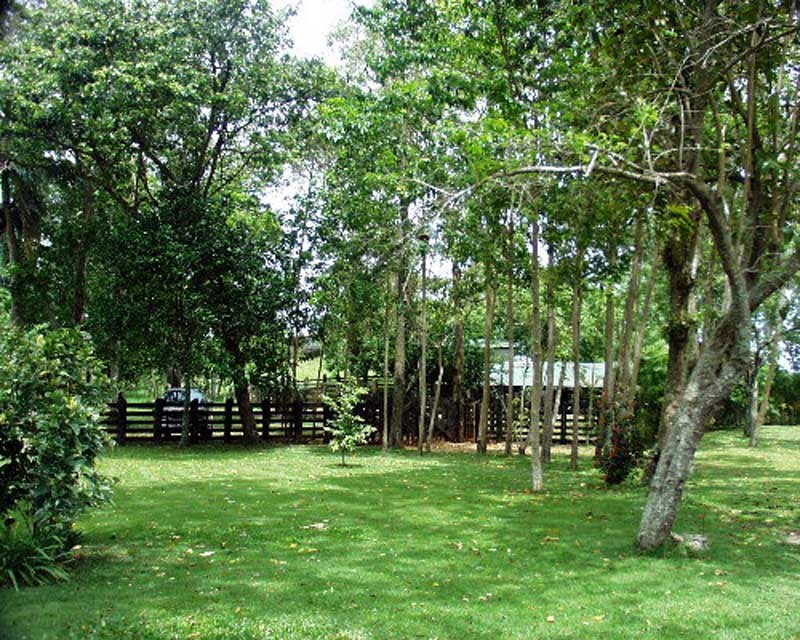 For more information and photos please visit the page of this property for sale in Jarabacoa. The purchase of farmland by foreigners in the Dominican Republic, where ownership and operation of the agricultural property are not only possible but encouraged, is a growing trend. There are many beautiful farms for sale on this Caribbean Island. Emerald green mountain ranges the wind throughout many areas of the country. These highlands support dozens of varieties of tropical palms as well as the most delicate of orchids, bromeliads and other “air-plants”. In valleys, rivers and streams abound. These waterways are limpid turquoise in the depths and crystal clear in the shallows. A dozen or more varieties fish and plump sweet water shrimp inhabit the island’s inland waters. Some Dominican north coast farms even touch or embrace a section of a river and many of these feature white sand beaches that rival any ocean shore, giving one a lovely choice. The soil is well-drained and rich, of volcanic origin. A wide variety of crops flourishes on Dominican farms. These include bulk crops like sugarcane and rice in the lowlands and various tubers, bananas, plantains, avocados, citrus, melons and pineapples on hillier farms. Luxurious dark cocoa and world-class Arabica coffees grow at higher altitudes, warmed by the tropical sun and benefiting from abundant rainfall in many areas. That same rich earth may also support farms dedicated to the raising and nurturing of animals. Beef cattle ranching is widespread in the country as is dairy farming. Other properties specialize in equestrian breeding and training, some producing world renowned Paso Fino horses. Other farm raised animals seen in the Dominican Republic include goats, sheep, poultry of all kinds and pork that is the talk of the Caribbean! At the root of successes in animal husbandry here is the fine soil and the rapid growth of all plants, including the grasses necessary for grazing animals. An unusual but increasingly popular form of farming today involves the raising of edible fish, such as Tilapia and Swai, or sweet-water shrimp which can grow to half a pound (250g). All that is needed is an area that will hold water and support a means to control its flow. Wells, streams and rivers are constantly fed by rains at high altitudes, ensuring a steady supply of clean water. With almost 30% of the total land area of the country suitable for crop production and about 17% of the labor force engaged in farming, agriculture remains the primary occupation of the Dominican population. For a person or group of investors considering a farm, the Dominican Republic is a natural choice, being blessed by nature’s abundance and populated by friendly, eager people skilled in most aspects of land use. Select Caribbean Properties is well equipped to assist you in finding your dream farm.